Want to win a 2017 Triton driven by Bassmaster Elite Randy Howell? If you have ever dreamed of owning a new bass boat and one with all of the bells and whistles, along with giving back for a great cause, then you may want to head over to www.kingshome.com for a chance to win Randy Howell's boat. The sport of kayak fishing has been growing exponentially the past few years, allowing angler's to travel into waters that are not reachable by conventional boats. We recently caught up with The Rod Glove's Justin Brewer to discuss what it is about kayak fishing that makes it a popular sport. 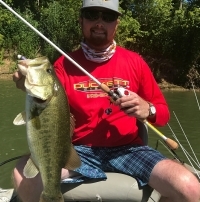 As a local himself from Alabama, Gerald Swindle talks about his relationship with spotted bass and how to target them on Smith Lake where the recent Bassmaster Southern Opens was held. This year Berkley B1 was showcased in 2 new events in Ontario with one in Trenton along with Port Colborne. Being situated on big water, the events were both tough to fish as the wind and waves were a constant battle for the anglers. Scott had a great season and caught 44.19 lbs landing him and Denny to a 2nd place overall finish for the season for the Top Team of the Year. 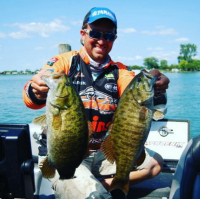 Elite tournament angler and Rod Glove Pro Staff Paul Mueller is no stranger to rough water and guides on the great lakes as well as competes with the Bassmaster Elite Series. He uses the Rod Glove products while travelling and while on the water to protect his gear. Take a look at the video that he created where he explains how he uses the Rod Gloves. While other high school students are still struggling to figure out their goals in life, one young angler has already proven that he knows where his future is heading. The Rod Glove, Keegan Stroud is living the dream while still in high school. Fishing the mid-west, Glenn Walker spends all of his time in the outdoor industry. 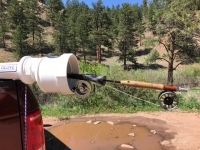 With over 15 years of tournament angling experience, this Rod Glove Pro Staff writes, competes, and provides instructional videos for the fishing industry. I have learned that in life, there are no excuses for not following your dreams. 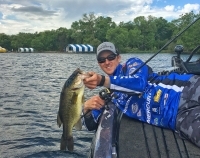 After all that’s what life is all about, right?” David Cosner, The Rod Glove Pro Staff shares his story of how he has become both a bass fisherman and motivational speaker, living with Wegener's disease. A NEW product from The Rod Glove, the Mega Big Sticks will provide protection for any of your rods over 8' in length. Check out our customer feedback on this new product. A new breed of anglers is emerging on the Bassmaster Elite trail and it consists of young anglers that have spent many hours casting for bass as long as some of their older competitors and they are hungry to become the next Pro Bass Elites. The Rod Glove Pro Bass Skylar Hamilton is one of these young anglers and we recently had a chance to learn more about him and his passion to take his passion to the next level. I use The Rod Glove products because I cannot take a chance to have broken equipment during transport or a tournament. It also helps me stay organized at all times. When I'm on the water, I need to concentrate on my fishing...nothing else.